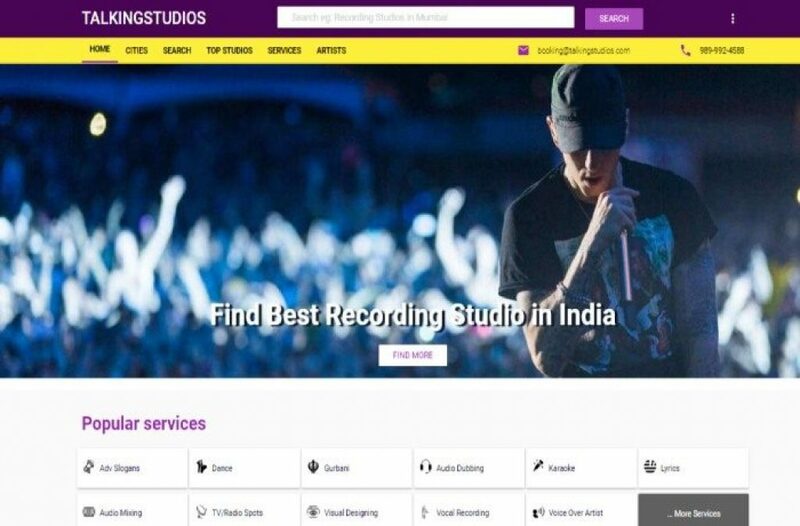 Talking Studios is a listing aggregator and booking facilitator for audio video & photo recording studios in India. The aim is to automate the current unorganized media and recording industry. Talking Studios is currently a listing aggregator, but will soon evolve into an automated booking platform, while onboarding over 10,000 studios and 2,500 artisans by end of 2018. Along with finding the best studios, you will be able to book with the click of few buttons. They plan to merge with artists booking and listing on Talking Studios, making the platform a one-stop solution for music composition. A music composer would be able to find singers, rappers, drummers, lyricists all on the platform. And they could collaborate with other musicians as well. The online platform goes a step beyond Google to help with the information of services that are offered by the studio, making it easier for people to search. What Problem does Talking Studios Solve? At the moment there are no players in the market that are doing this, so they are the first mover advantage. Studios are accepting bookings via their individual portfolio websites, however, no aggregator automation platform is available to tap the entire media and entertainment industry which is more than 1606 Billion INR in worth. The music industry alone is around 12 Billion INR and is expected to rise upto 19 Bn by 2019. India holds rank 20 in terms of global music industry size and if the projections and growth are steady, by 2019 it will be among top 10 global rankings. With Talking Studios, they aim to manage this unorganized media industry by bringing all players to the same platform which will also bring competitive pricing and will give each player a fighting chance and the opportunity to grow and nurture. Kunal Kumar, CEO, and Founder – is a core tech guy, a cyber forensics expert, information security consultant and a published author. Kunal founded Something Cool, a virtual incubator for startups where he mentors and nurtures startups. He learned music composition and during his learning phase found it hard to find studios to hone his skills, that’s when he realized the need for the platform. Ghanshyam Verma, CTO – is a full stack developer and owns a recording studio. He readily liked the idea and wanted to develop it and came onboard. He designed the technology stack of the platform and is responsible for development and products well being. Yush Bhardwaj, COO – Yush is responsible for all activities that involve operations and tech as well. He is a software engineer and coded parts of the product. Currently, he is managing product maintenance, server architecture, vendor management and other day to day activities.